Decorating a small space is always intimidating. However, with proper planning, smart lay out, and modular furniture in Pune, you can make the fun as well as extract more benefits from the available space. 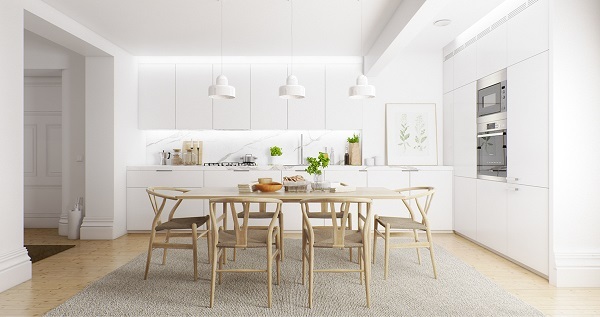 Just incorporate these 6 tips to make the most of the small dining room. The dining table is the central point that becomes a hub of activity for family meals or when organizing a party. 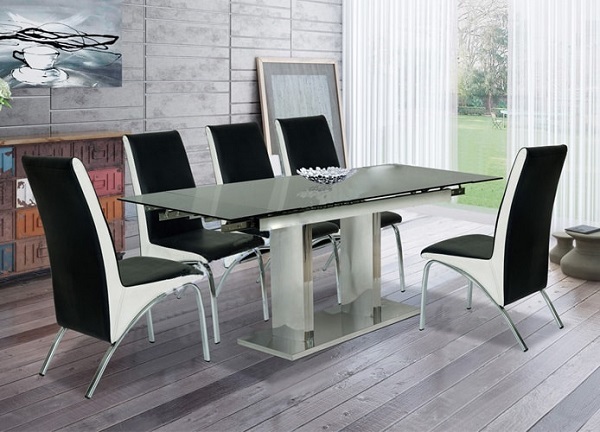 Just like other furniture items, dining table comes in various shapes and sizes. For a small space, you have the choice between a round or rectangle table. While the round table won’t allow freedom to accommodate extra seat, the rectangle-shaped table will take away the length of the room. Whichever your prefer, just flush the dining table against the wall at the centre of the room. This will create a comfortable and sheltered dining space. To fit the table in the dining room, consider modular home furniture in Pune that can be expanded and folded whenever required. To give an aesthetic appeal to the space, use table cloth fitting with the wall colours. 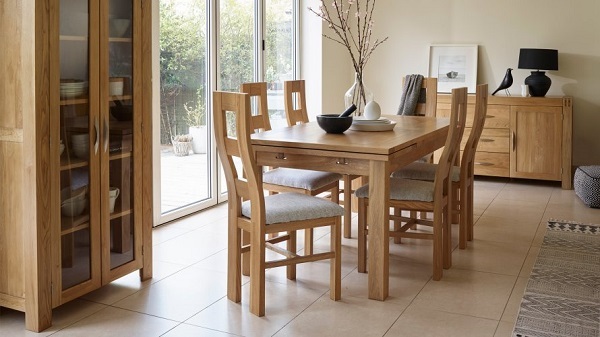 Traditional chairs and benches are no good for a small dining room since they will unnecessarily block the space. Ask furniture manufacturers in Pune for folding chairs or benches in your choice of material. The benches should belong enough to for three people. For more comfort, you can ask for upholstered furniture. You can also place the bench under the table that will create some space for moving. Pick chairs without arm rest as they will allow freedom to move freely. The dining room is where we all store plates, cups, saucers, and other items used for serving. 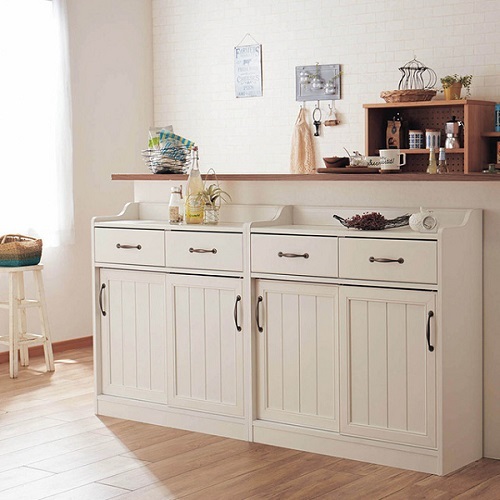 Use a wall-mounted modular cabinet with shelves to accommodate dinnerware for daily use. Even if you go for a couple of extra shelves will not harm you. To complement the cabinet, you can even use sideboards on the floor. For parties and other social gatherings, use the top of the sideboard for placing serveware. 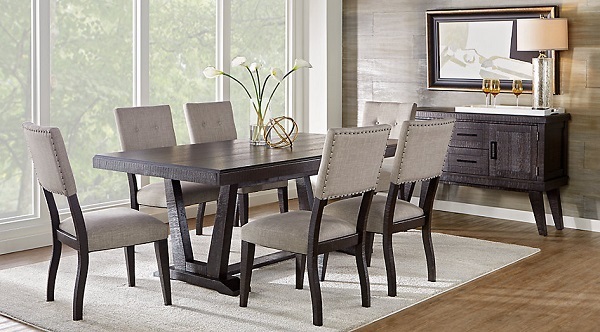 For small dining room, using furniture that visually blends with the interior décor will make the room look bigger. 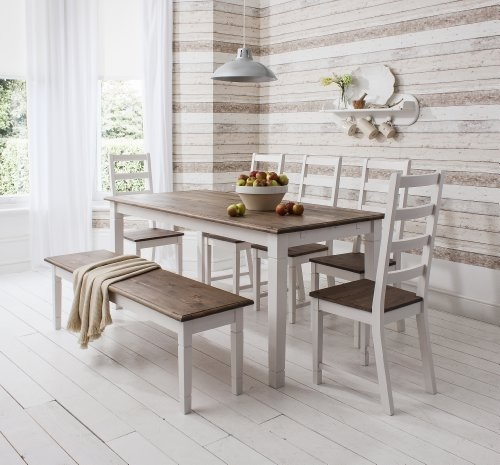 So when ordering modular furniture for the dining room, consider the colour of the walls. Try to emulate the colour of the surroundings into furniture making. Let the furniture manufacture visit your home to know the colour. If you don’t receive guests regularly and have a small family, then mixing and matching furniture for the small space is ideal. Use wireframe or cane chairs one side of the table and padded bench on the other. However, the furniture shouldn’t be riddled with design, curvy lines, etc. Using light furniture not just in weight, but visually as well will give the small space an aesthetic appeal. For such requirements, you will need to contact a reputed furniture factory in Pune that can customize furniture matching the space and the surroundings. If you are hard-pressed to decorate small dining room, contact AP Interio, a reputed modular furniture manufacturer in Pune that can turn small space big with experience, creativity, and craftsmanship.